Press Release: Caanchi & Lugari Launches New Flagship Store...!!! 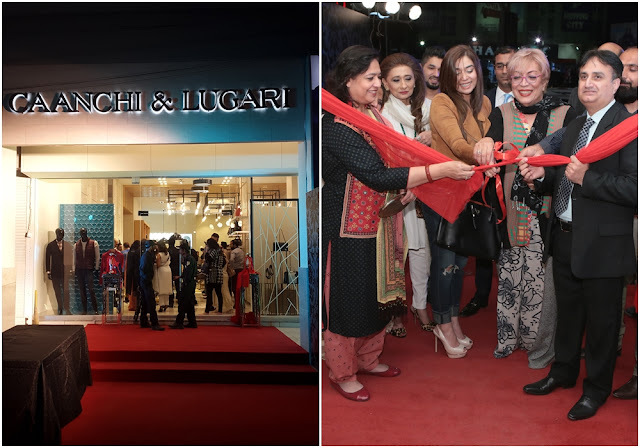 Caanchi & Lugari, house of exquisite brands launched its fourth store in Pakistan on Dec 29 at Shaheed-e-Millat Road, Karachi. Offering a premium experience of high-end international labels from around the world, Caanchi & Lugari offers its customers authentic brands like PEDRO DELHIERRO (PDH), CORTEFIEL, ARMANI (shoes), HILTL, BUGATTI, KRISTY, DENE LUCIA, VAN LAACK, VALENTINO, SALTONI and many more, fulfilling the requirement of every customer. 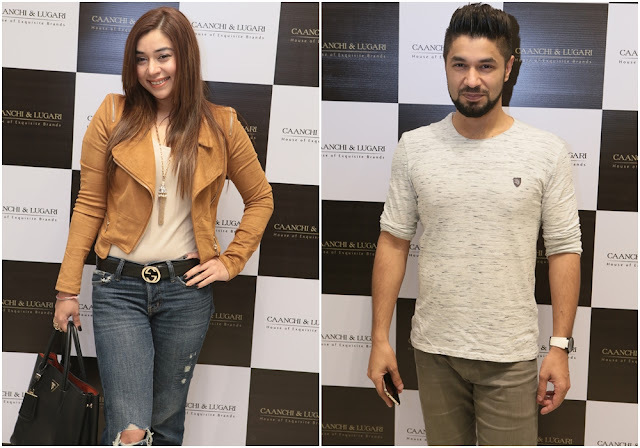 It may be recalled that Caanchi & Lugari’s luxury stores are located on M.M Alam Road, Lahore, Centaurus Mall, Islamabad, and in Dolmen Mall, Clifton, Karachi. 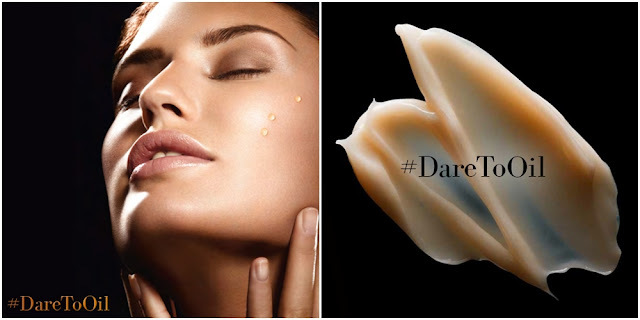 Press Release: Do you #DareToOil this Winter...??? 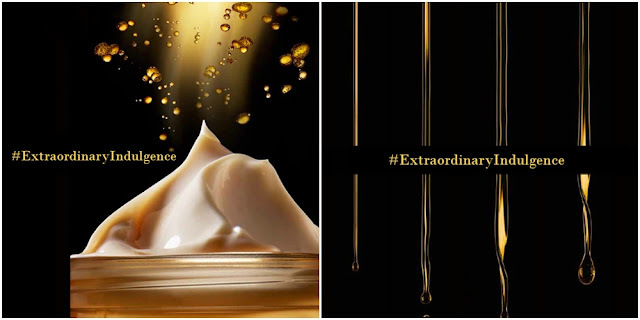 Extraordinary Oil is unique facial oil that blends together 16 oils that nourish the skin, leaving it deeply replenished and glowing. Some of the 16 oils include Lavender, Rose, Chamomile, Jojoba, Marjoram, Orange peel and Geranium with benefits including anti-oxidant, smoothing, radiance boosting and calming properties. It is a non-greasy, light-textured, nutritional facial care infused with divine aromatic fragrances giving a complete sensorial experience. The Oil-Cream, inspired by Asian rituals, is infused with precious oils and White Jasmine extract with a rich texture that melts in to the skin in a bath of nutrition. Hope your week is off to a great start. This year, Black Friday was celebrated around the world on November 27th. Like every year, there were many tempting deals on different websites and stores. However, I only decided to shop from one of my favorite brands, Sigma Beauty. 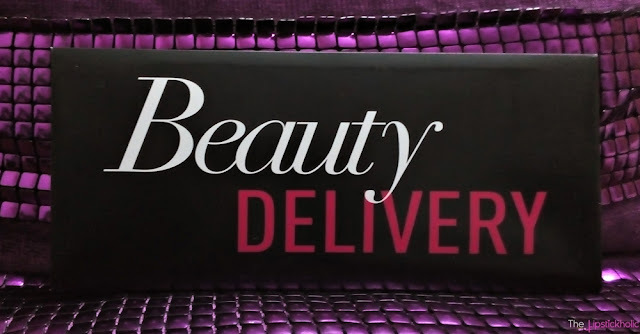 This Black Friday, Sigma Beauty offered free international shipping on all orders for 2 days. 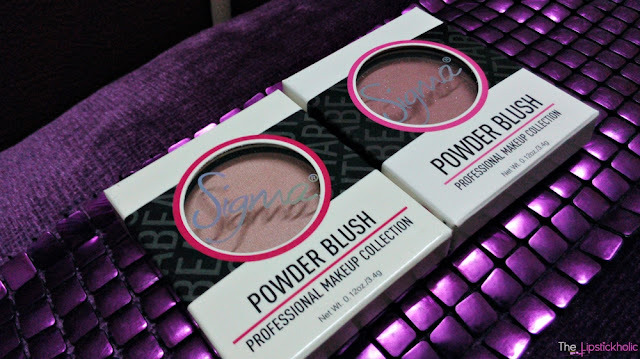 This was the perfect time to grab some products from Sigma Beauty that were on my wishlist. 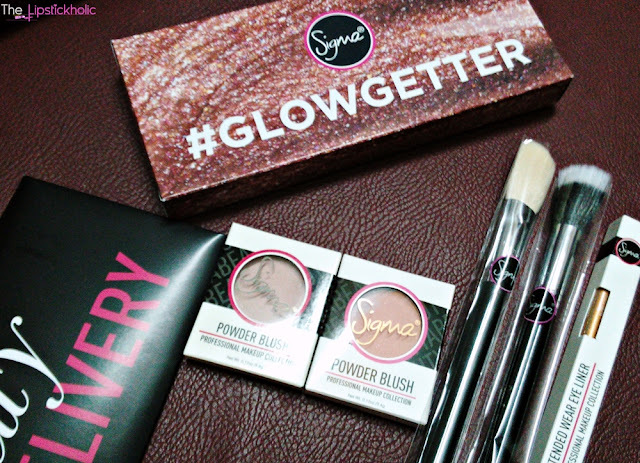 So lets see what I got from Sigma Beauty and how was my shopping experience with them. This year Sigma Beauty launched many amazing collections and innovative products. Since its Holiday Season, therefore Sigma Beauty also launched 12 amazing Holiday Gift Sets. The sets are really good value for money. I have had Sigma Beauty F40 and F55 on my wishlist for so long. So I wanted to get these two brushes from Sigma Beauty along with some blushers. The #GLOWGETTER holiday set had everything that I wanted. I was more than happy to see the set and therefore immediately placed my order for it. Sigma Beauty also offers free deluxe gifts on orders above $50. Therefore, I was given the option to chose from a number of free gifts to add in my cart. I added one Extended Wear Eyeliner in shade "Drift" and finalized and placed my order. I payed for my order via debit card and got a confirmation email the next day that my order and payment is confirmed. Two days later, I got an email telling my order has been shipped. I am really impressed with the fast shipping and good customer service provided by Sigma Beauty. My order was shipped via International Non-Trackable shipping service, therefore, I was expecting it to reach my place in about a month. Surprisingly it reached me in less than 20 days which is great. Now let's take a closer look at my haul from Sigma Beauty. The set is perfect for those who love contouring and highlighting. I needed a blush/contouring brush and a stippling brush from Sigma Beauty. I was also interested in trying Sigma Beauty blushers. This set contains all I needed. It is really good value for money. If bought individually, Sigma F40 costs $22 and Sigma F55 costs $21. Whereas this complete set with 4 products costs only $53. Plus, I got a free eyeliner as gift with purchase which is absolutely gorgeous. Overall, my shopping experience with Sigma Beauty was great. I am loving the contents of the set and am happy with my purchase. I will be sharing my detailed thoughts on all the products soon with you all. 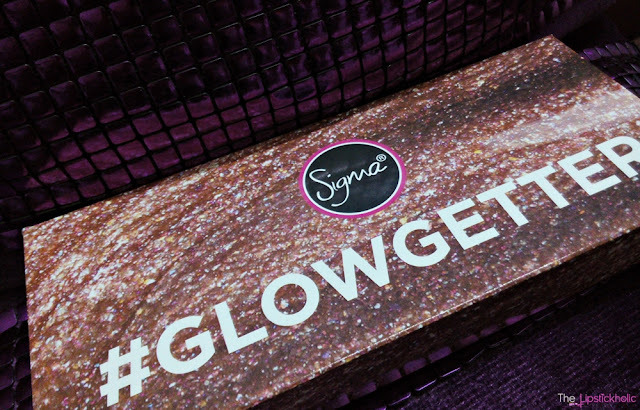 Price & Availability: The #GLOWGETTER Set is available online at Sigma Beauty for $53. All the products in the set are also available individually for purchase. Save a Child a Minute from Diarrhoeal Disease, A Global Killer…!!! Many of us think of diarrhoea as a common disease and don’t take it seriously. However, most people are not aware of the fact that diarrhoeal disease is one of the biggest global killers. It is one of the leading causes of death among the developing world's children. Each year, diarrhoea kills around 53000 children under five and is the second leading cause of death in children under five years old. 25 million cases have been reported annually in Pakistan alone. These statistics related to diarrhoeal disease are really alarming. However we need to know that diarrhoea is both preventable and treatable. Interventions to prevent diarrhoea include safe drinking-water, use of improved sanitation and hand washing with soap. There and few more small steps can save children from this killer. These include low-osmolality ORS and zinc, rota virus vaccine, exclusive breast feeding, vitamin A supplementation, hand washing with soap at critical times, stop open defecation, household water treatment and safe storage. Reckitt Benckiser (RB), manufacturers of Dettol, and Plan International Pakistan, a developmental sector organization, have collaborated to design and test a new approach to reduce the incidence of diarrhoea amongst under-five children by improving the health, hygiene and sanitation conditions. On December 8, 2015 RB and Plan jointly launched an innovative behavior changing campaign, “Save a Child a Minute” in Pakistan. The vision is to stop deaths from diarrhoea by empowering women and creating wealth for local communities. The campaign emphasizes on empowering women by providing them with health and sanitation products that can help them fight diseases like diarrhoea. Locally hired women from lower economic class are given these goods (from RB and other private partners such as Searle, Shan Foods, Peak Freans and Santex) at a discount and they sell them door-to-door and earn a commission on them. Haider Sheikh explained the overall model and tactical plan of this project. The main behaviour changing model presented by the company to eradicate diarrhoea consists of three basic pillars; Educating and creating awareness about the cause of this disease, providing innovative low-cost products that help prevent diarrhoea and empowering women through and inclusive business model. MNA Phyllis Azeem was the chief guest at the launch event and she assured government's support for the cause in her speech. The project is in line with the government vision project 2025. Currently the government is collaborating for the pilot, it can further look into jointly up-scaling the campaign at a national level. In the next 6 months, RB and Plan will cover 600 households in Dhori, a village in Sargodha. Later on, “Save a Child a Minute” will be scaled up nationally by RB and Plan in close coordination with the federal and provincial government to support the Government’s Vision 2025 project. This is a really brilliant and remarkable initiative by RB and Plan towards eradicating dirrhoea. Such a campaign will save lives of millions of children from this killer disease. We wish team RB and Plan all the best for this project and hope that this initiative will help eradicate this killer from the society. Review: Jordana Eyeliner Pencil in Dark Brown...!!! Hope you all are doing great. Its been a while since I posted any review on the blog. Been caught up with so many things lately. But here I am today, sharing my review on Jordana Eyeliner Pencil in shade 38 "Dark Brown". Lately I have been more into brown eye pencils since they look subtle and complement my eye color. Jordana Dark Brown Eyeliner Pencil is a gorgeous brown shade. Let's see what I have to say about this eyeliner pencil by Jordana Cosmetics. Jordana Eyeliner Pencil "Dark Brown"
So this eyeliner pencil is much thinner and longer than the regular eye pencils. The pencil is very long thus it will last much longer. The texture of this eyeliner is not very creamy yet it glides on smoothly without tugging. The pigmentation of this pencil is not very intense but decent and buildable. One swipe of the eyeliner provides decent color payoff and u can get much darker color with more than one swipes. This eyeliner pencil didn't irritate my sensitive eyes which is a plus. The shade that am reviewing is 38 Dark Brown. It looks like a true brown color with just one swipe. However with multiple swipes, the shade looks much darker. I love using this eyeliner pencil to fill in my brows. It works great as a brow pencil. This eye liner pencil is not smudge-proof and the staying power of this eyeliner is pretty average. It starts fading soon and stays on my eyes for about 3-4 hours at max which is not really impressive. However, if used to fill in brows, it lasts a bit longer. Overall, this eyeliner pencil by Jordana failed to impress me much. The color payoff is decent and it applies easily without tugging. However, the staying power is just average and its not smudge-proof. In my opinion, it works better as a brow pencil than an eyeliner. This eyeliner costs really less and for the price this is OK, something you can easily carry with you in your purse.